I’ve only spent a single day in Naples but it was quite an education. First of all I had no idea that Napoli has a significant hill. Not only that, but I rode a funicular railway up the hill and back. 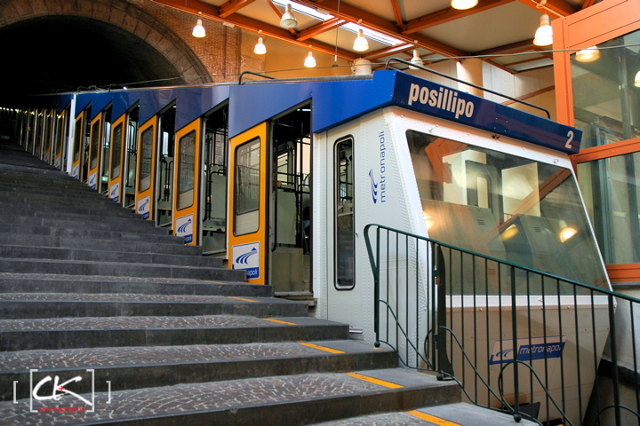 I didn’t know until looking for this funicular that there are actually 4 of them so I have no idea which one that I rode. I’m always fascinated by these things. I think that’s only the second one that I’ve ever taken and the other was in Bergamo. It’s kind of like a train that is always tilted. Getting into it is like walking up to your seat in a sports stadium. If you’ve never ridden in one it’s a little hard to visualize but the picture below should clarify everything. 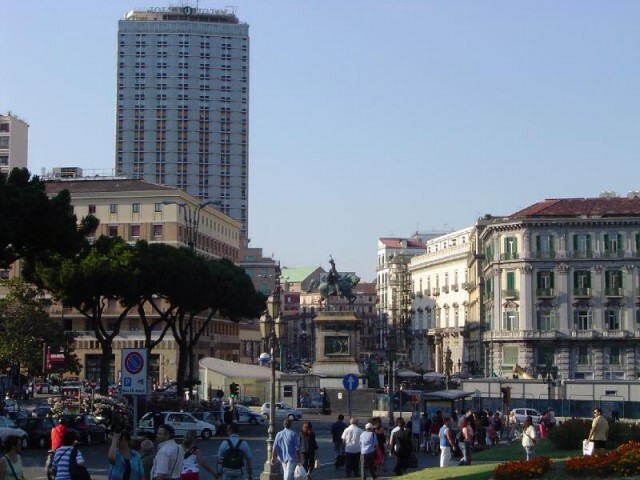 Certainly the center of Naples is not too different than many Italian cities but seems much more chaotic. It is the only place that I can ever recall seeing a city bus run a red light. Of course I’m not sure that I’d be surprised at anything in Naples. I have one particular memory of walking around downtown when the sidewalks were pretty crowded. At some point I was aware of someone behind me clapping his hands. “How strange” I thought and started looking around. I couldn’t see anything worthy of applause. I moved closer to the edge of the sidewalk to get out of the way of traffic and looked back just in time to see the fellow behind me cease clapping his hands. I’m convinced that it was a Neapolitan pedestrian “horn”. The automobile horn is, of course, indispensable to any Italian driver so apparently the Neapolitans take it a step further. If anyone has had a similar experience I’d love to know about it. This entry was posted on Thursday, October 28th, 2010 at 9:24 am	and is filed under Travel. You can follow any responses to this entry through the RSS 2.0 feed. You can leave a response, or trackback from your own site.